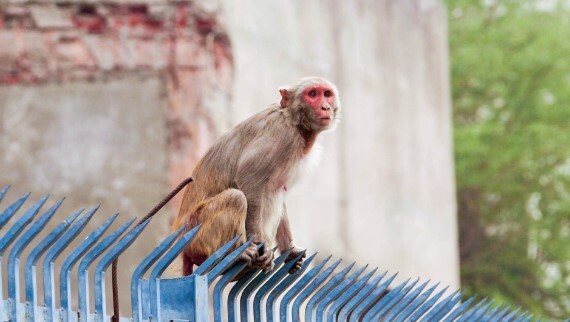 MONKEY MENACE explores the escalating conflict that exists between Delhi’s rhesus macaques and its human citizens. Javier Douglas's keen observational camerawork shows what it’s like to be a rhesus macaque living in one of the most polluted and populous megacities in the world. In Myanmar, Kawgun Cave draws locals and travelers alike for its historic, religious and cultural significance. Groups of macaques congregate just outside the cave, where visitors often feed them by hand. The Smithsonian’s Global Health Program uses fascinating methods to collect DNA samples from these monkeys in order to better understand how diseases can spread from wildlife to humans. Q&A with the filmmaker of Monkey Menace to follow the April 13 screening!